The votes are in.....we all love silver! 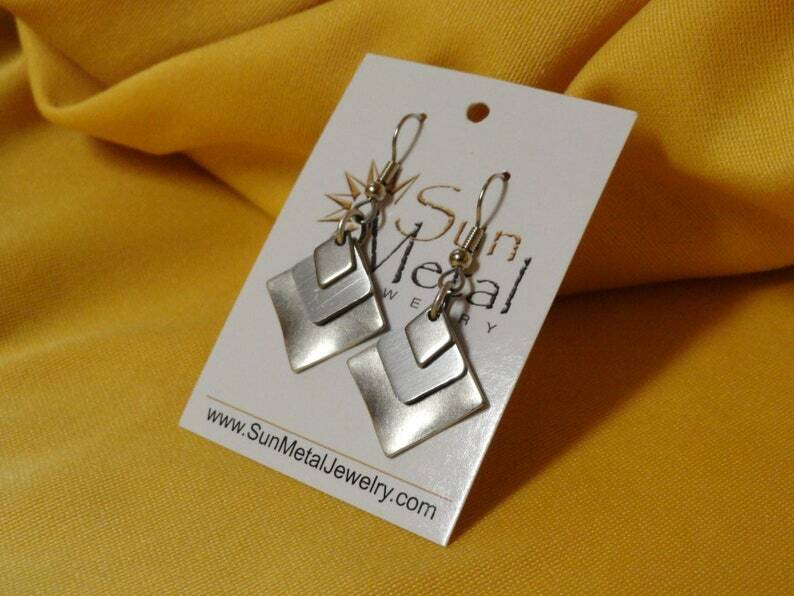 The combination of matte silver and shiny silver makes this earring subtle and very unique. The gleaming stainless steel diamond in the middle reflects the light and catches your attention while the matte silver pieces on top and behind lure you in. The earwire is surgical steel. Cute, stylish, clean lines. Love these earrings!